"lord save us from obama care"
Discussion in 'Politics & World News' started by TheMontashu, Jun 21, 2012.
were the words I saw on a bumper sticker. I had to ask myself the hypothetical "what would Jesus do" and remembered the story where he helped the blind beggar to see, entirely free of charge. 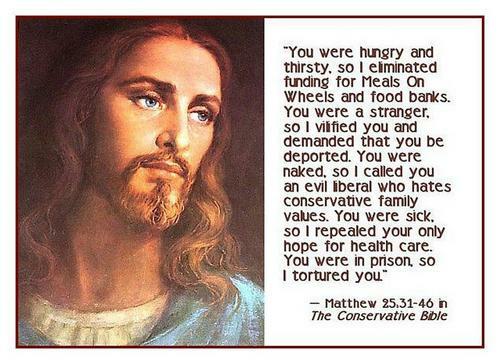 Which has me wondering, how can the christian right be that blind to the words of their holy book. They spend countless time and energy trying to legislate women's vaginas and what gay people can do all in the name of Jesus. Yet when it comes down to doing the actions of their supposed savior they get too caught up in merica and freedom. Am I missing something here? where in the torah does it say fags keep your mouth shut? I had to ask myself the hypothetical "what would Jesus do" and remembered the story where he helped the blind beggar to see, entirely free of charge. perhaps the meaning of "entirely free of charge"
In many ways, Obamacare is the Democrats' fault. By creating a compromise bill whose most infamous part is the mandate to buy health insurance, I barely understand what Obamacare does. Now imagine the idiots who vote for Bush and will for Romney, what they might think. Another gay thread from you? Compensating? 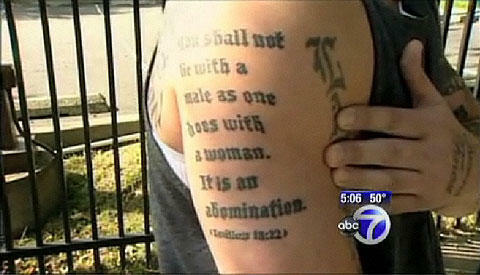 The bible is pretty funny if you only focus on the gay parts. Thats gonna be fun in prison. I would just like to see how popular he would be being so awesome. Over 1000 references to helping the poor in the Bible, one against homosexuality. Which do the right wingers feel is more important? 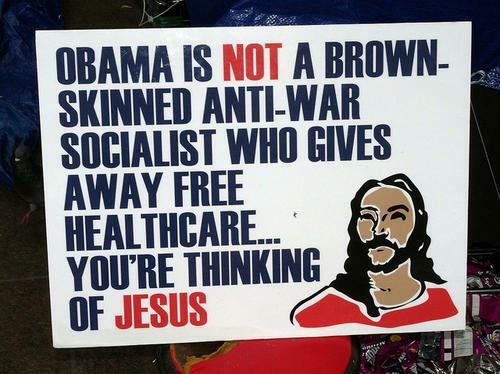 FYI: Google image search "Republican Jesus". Many LULZ to be found. amazed at how many people in the US are AGAINST being covered by medical insurance. Obviously all you heathens hate Freedumb®. b/c the truth is, i don't want my rates to go up or the gov't dip into the general fund to cover the cost of individuals who irresponsibly participated in various economies w/o sufficiently covering their risk. does that make **me** selfish/greedy/pricky, or those who demand coverage to be further absorbed by gen pop? do i misunderstand your point? Stink, what happend when you get flooded or burned out? You lose your job or you suddenly cant handle your mortgage? Who do you turn to? Uncle Sam. If it aint FEMA or unemployment, there is a federal agency that you (The metaphorical you...) hold out your hand to for some kibble. And renters, car and dental insurance are just good things to have for worst case scenarios. I hate the insurance agency, its a huge scam, but in our world it has become a neccesary evil. Health insurance is simply another good thing to have...if you dont, and something catastrophic happens, what happens to that life that the right so vehemently supported the creation of? You have to be born, but after that who cares? If we can wage 2 wars and spend mega trillions of American taxpayer money oppressing, er, freeing the rest of the world (Who just happen to have oil under their feet...) why cant we pay for health care for our citizens? this is just one of the huge problems w/ our insinuated gov't: it's now so bloated that the term 'safety net' has come to mean, 'i got laid off last week & don't want my revenue stream cut, and in fact the gravy should flow for 2 yrs, with no meaningful accountability towards ME', i.e., finding a job. with the gov't effectively replacing community, who cares if someone falls on hard times? as you pointed out, uncle sam will step in. that mentality naturally leads to "see a chic on the side of the road w/ a busted car? uncle sam will fix it". replace any scenario where we were raised to step in out of being our brother's keeper. the gov't didn't teach me to bring a tool kit, tubes, and plenty of h2o on my rides, but i'm sure the number who demand to get rescued from their self-induced peril is growing. makes me sick. and here's mine: obamacare should be available for those who choose it (and it is in some form already: medicaid/medicare), but to mandate it is where i object. i also object to the way the free market is dismissed as purely greedy, for it's counter-intuitive: if i offer less-than-stellar service, the masses will leave for another option. if there's no other option (either through monopoly or gov't fiat), who's best served? who knows? maybe obamacare can be everything it claims, but i'd like to know there's motivation to perform w/ all the "greed" of free market alternatives (i.e., hire the best & the brightest). if i get negligent care at any part of the system, someone should be sacked, with an administrative forensic review to follow. remember, my gig is the army's Physical Eval Board, a form of socialized medicine. currently, there's little to no accountability for underperformers, mostly due to the sheer volume of patients. now magnify that by a couple orders of magnitude, and make sure to include ppl who aren't qualified to join the army, for a battery of reasons that mostly need some form of prolonged medical care. 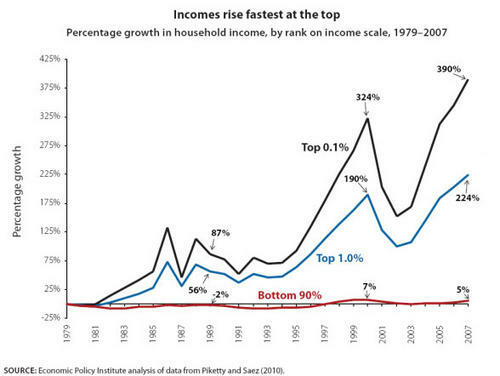 What do you expect when the gap between the rich and the poor is so big on all fronts they might as well be Angola. It's amazing to me that you guys can see this, yet half of Americans can't. I probobably wouldn't be interested if an average Pole didn't think merica is great and we need moar free marketz to be like merica. In the end you have shiny cars and nice buildings in teh movies with the Governator. I will stop being interested when people stop thinking they would rather live in Detroit than in Munich or Geneva. Hey man, they just tore down like half of detroit, it's less terrible now!!! That's surprising. Why is it that exepsive there? It's not an isolated country. Is income disparity in Brasil the same as in Russia? Warsaw is quite expensive in terms of housing but all other prices are not that bad (airport is expensive but that's a ****ty airport owner). Accountability is the key. I am a career seriviceman because I beleive in accountability for myself and my family. Not out of love for my country or fellow man (Although that is there...liberal and all. ), but because of love and respect for myself and my family and the will to take care of them. Not all are taught to be responsible for their selves or their actions, and thats a damn shame. Welfare reform is a hot ticket. Unfortunatley it is mostly all at the state level, is it not? That is very important. Another argument I really don't like is since people abuse the current welfare system lets go to the other end of the spectrum and free market 80000V. Look how well it did work in Iceland, South America and other Free market experiments. All countries who went to the right of America either went bankrupt or are on the unreasonably expensive to live list. Stinkie is also wrong that if one free market option won't work people will find another. The truth is a best earning option always wins and that doesn't mean best for the people. If the market decides a sub par level of basic human needs fulfillment is more profitable it will do that. So Poor people will get worse education, health service etc. That will increase the gaps even more and in the long term you have to live in walled communities. Not a good idea. I really can't understand why it has either to be cut taxez and get our free marketz or give money to everyone. We need social reforms that support unemployed people but also force them to get back to the workforce. A good example is the most current ruling party in Poland. They are not the brightest people in the world and promised tax cuts before the crisis but went the other way to save the budget - now Poland is one of the few countries who went through the crisis without our economy shrinking at any point. On the other hand we had (and still need more) reforms that loosen up bureaucracy and deregulate some markets.